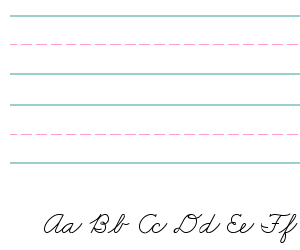 The handwriting lessons in this section use letters that are similar to Zaner-Bloser. 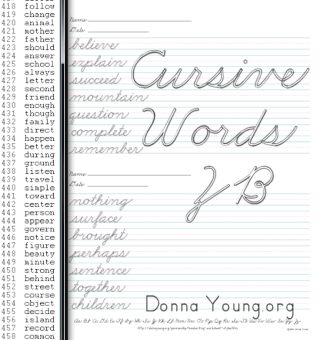 The letter height in the ZB cursive handwriting lessons is 9mm or slightly smaller than 9mm. View the pages that are linked on this page to see the ZB resources. Any other ZB resources that I have will be linked from the various pages in this section. Some of the resources will require a paid membership. As usual, I am prividing coordinated blank lesson paper. What is so special about lesson paper, you might wonder. Not much, but in the case of this paper, a small representation of the letters are present on the paper. This lesson paper has two lessons per printed sheet.